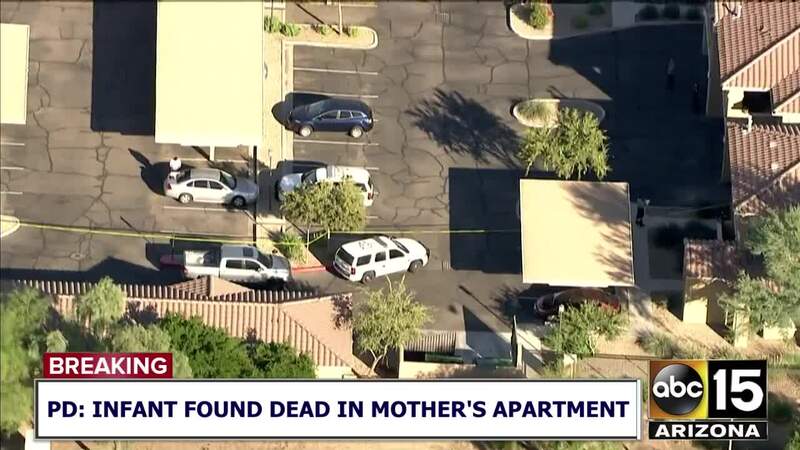 Police say an infant reported missing by his mother from a park in Chandler was found dead inside the mother's apartment. 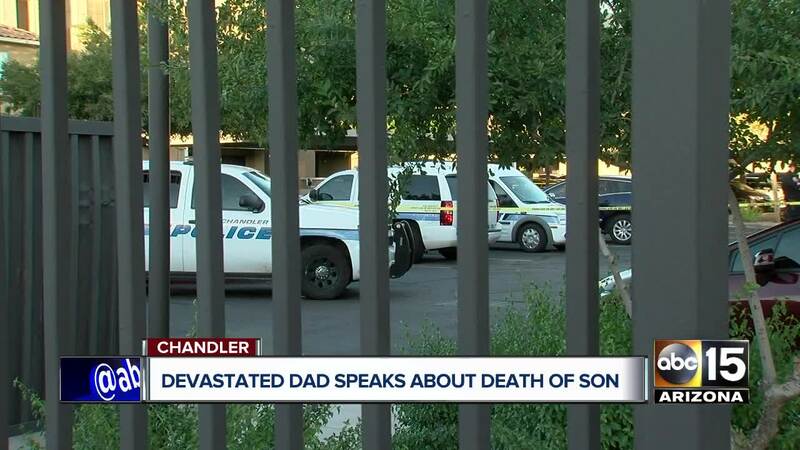 The father of the baby spoke to media on Thursday about the devastation he now feels. 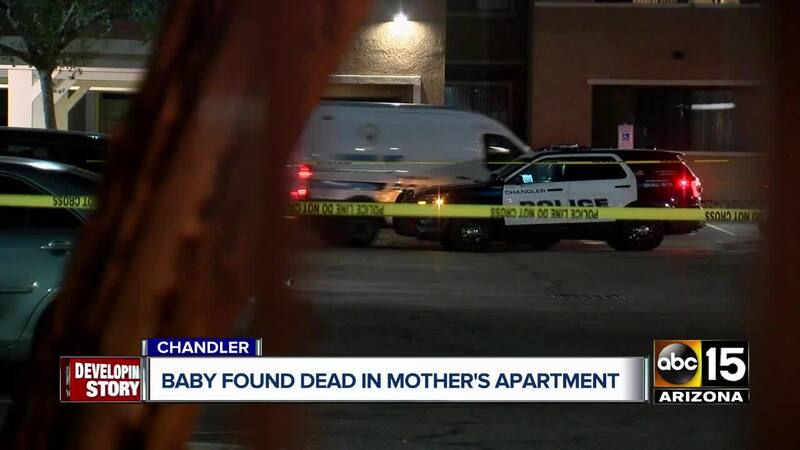 Police say an infant reported missing by his mother from a park in Chandler was found dead inside the mother's apartment. 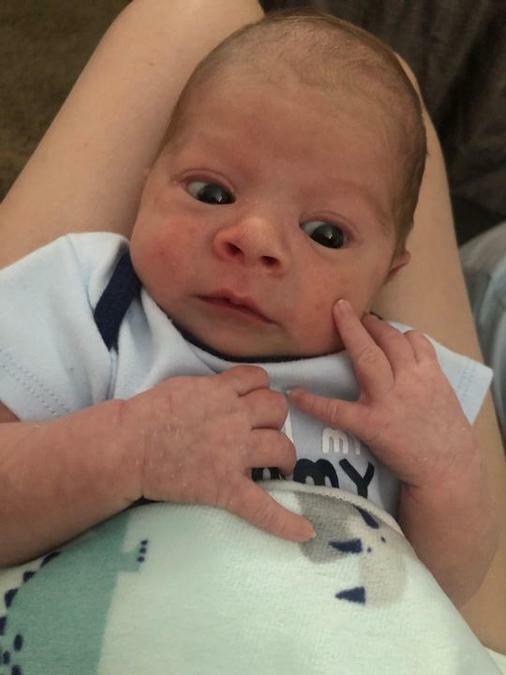 According to Chandler police, a woman, later identified as 19-year-old Jenna Folwell, called 9-1-1 around 1:30 p.m. to report that an unknown suspect put a bag over her head and took her 4-week-old boy from Brooks Crossing Park, near Alma School and Warner roads. "She stated that she was in the process of putting the child into the car seat of her vehicle when someone came up behind her, put a bag over her head and took the child," said Detective Seth Tyler with Chandler police. 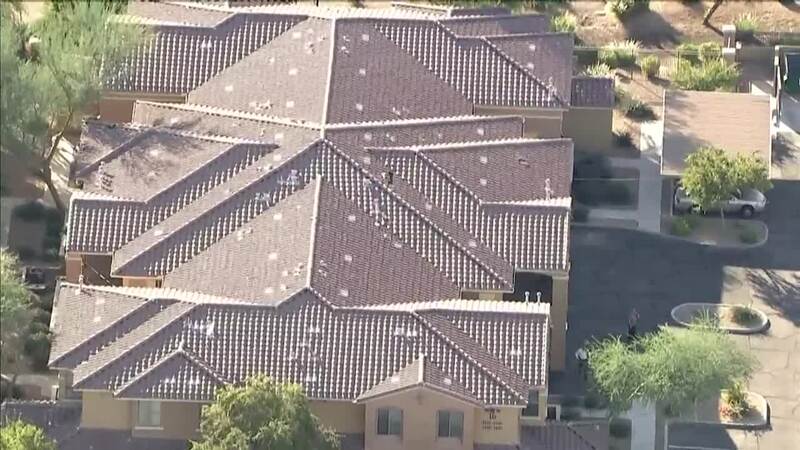 Police began to search the area and went door-to-door looking for the child. Police also chose to search the mother's home around that time. 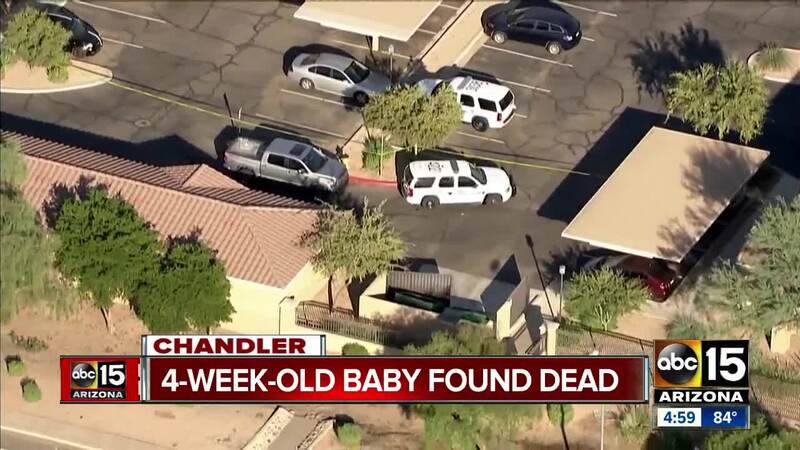 Around 3:30 p.m., the baby was located dead inside the mother's apartment near Pecos and Dobson roads. 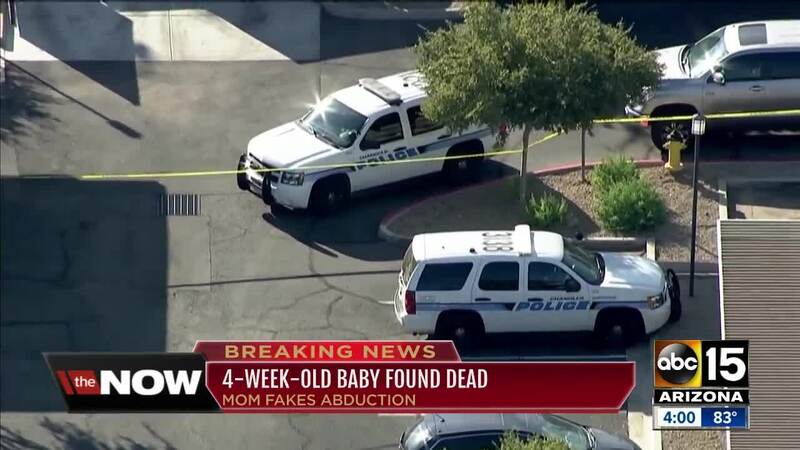 According to police documents, officers found the baby’s body inside a duffel bag. Folwell reportedly told police that she took a bath and had the baby in the bathtub. She then reported that she passed out or fainted and when she woke up, the baby was face-down in the tub and not breathing. 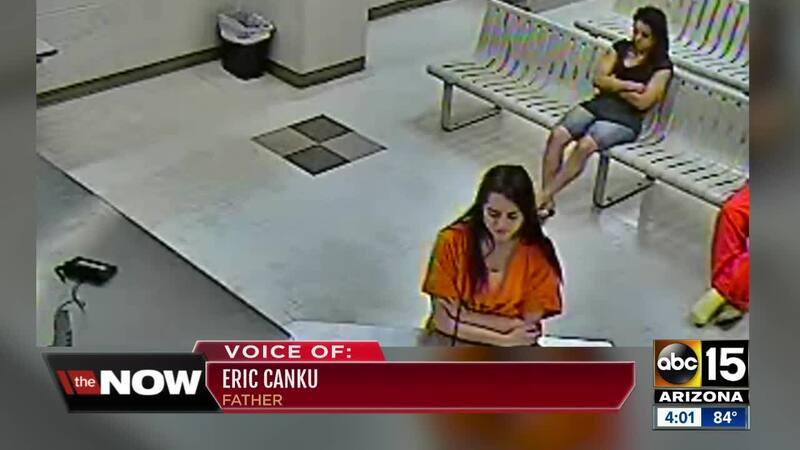 At that point, she admitted to putting the child in the duffel bag and driving to the park where she reported the kidnapping. 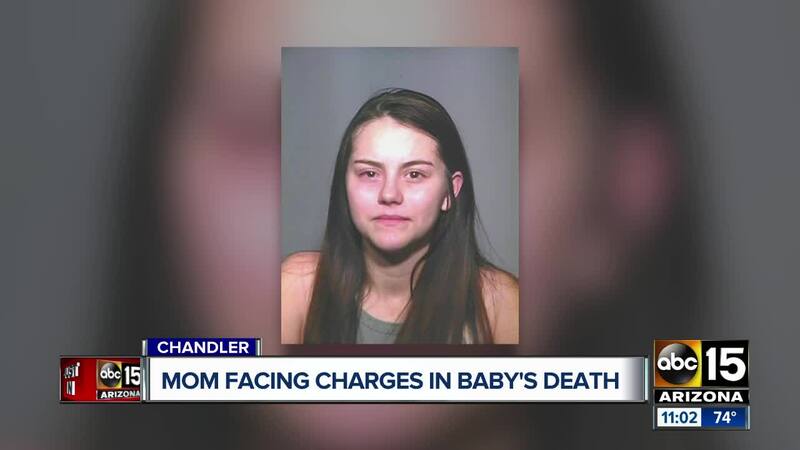 Her cell phone was collected as evidence and investigators found multiple internet searches including “ways to die instantly”, “missing babies cases”, types of parents who kill, sudden infant death syndrome, how long it takes babies to drown and more. Police say there were over 100 searches on these types of topics. Police asked Folwell about her searches and she admitted to getting in the tub with her son and letting go of him. She said she settled on this “because she did not want to hear her son cry”. She said the baby was in the water for about a minute and then she regretted it, and pulled him from the tub to start CPR. 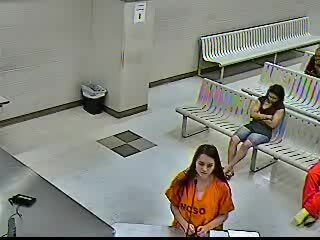 She was jailed on a charge of first-degree murder. Folwell had her initial appearance in court Thursday. The child's father spoke to the judge, asking for no bond or release and life in jail without parole for her role in the baby's death. Watch the emotional initial appearance statement in the video below. In a heartbreaking statement, he said with a shaky voice, "I will never get to have any firsts with my son...I won't be able to watch him play catch or go fishing. I won't be able to even take him to school." He continued, "she took away my life with Rainer the moment she took his life...she could have reached out to me or my family and we would have taken sole custody." The judge set Folwell's bond at $1 million cash. If you would like to donate to help support Rainer's father and family, click here . 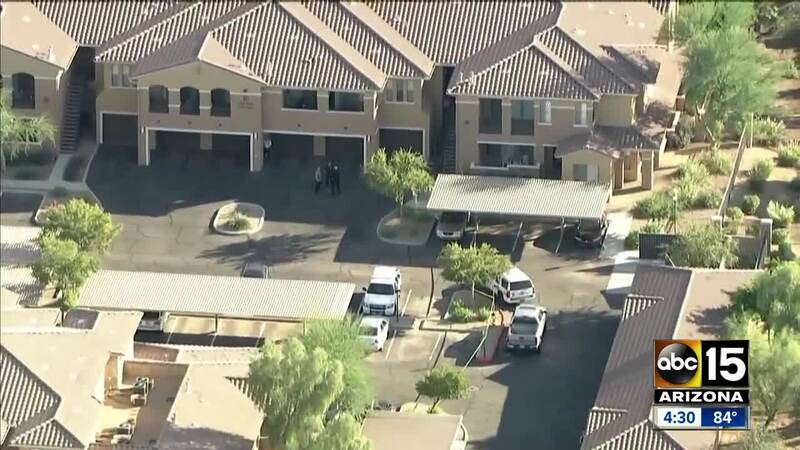 Chandler police say that although this child didn't fall under the Safe Haven law because he was more than 72 hours old, police will often be able to help parents locate resources to care for a child after that timeframe passes. The Safe Haven Law allows any new parent with a baby that is unharmed and under 72 hours old the option to surrender the child without consequence. 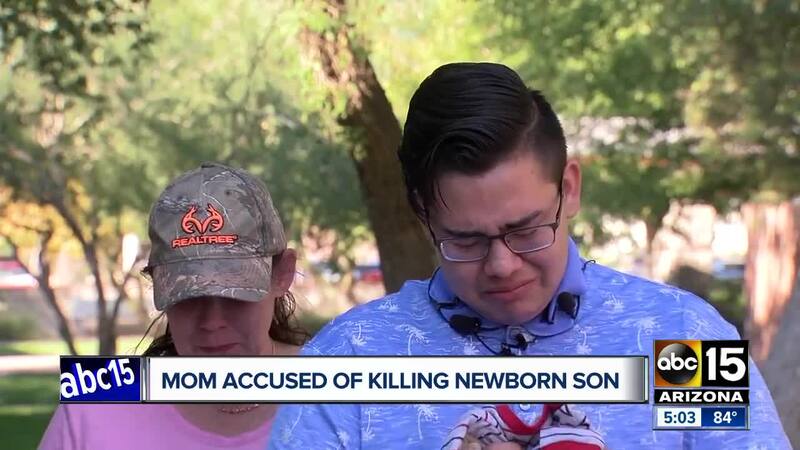 If you or someone you know is in need of help with their baby, you can call the Arizona Safe Baby Haven Foundation at 866-707-BABY or visit azsbh2.org .